Here’s what’s up in the world of TV for Monday, February 13. All times are Eastern. 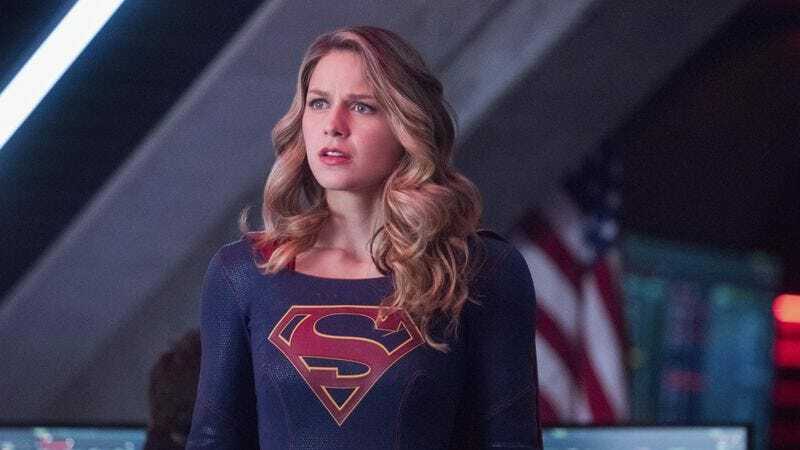 Supergirl (The CW, 8 p.m.): Supergirl is going with an origin story tonight. That’s right, it’s time to meet the “Luthors.” More specifically: “After Metallo breaks out of prison and frees Lillian Luthor, the police blame Lena for his escape and arrest her.” You know—little Luthor things. “Despite overwhelming evidence, Kara refuses to believe her friend is guilty and fights to clear Lena’s name. Flashbacks reveal how Lena came to be a Luthor.” You’ve got to love a good Luthor flashback episode of television. Even Smallville knew that one. The Celebrity Apprentice (NBC, 9 p.m.): Well, this is finally over. For now, at least. Humans (AMC, 10 p.m.): AMC’s Humans returns tonight for its second season, picking up right where season one left off. Hopefully its return is better than the season finale, which reviewer Brandon Nowalk gave a C grade after an inconsistent inaugural season. In episode one, “Niska faces a critical decision while Mia, Leo, and Max remain in hiding. The Hawkins struggle to move on. Dr. Athena Morrow gets a surprise visitor.” By the way, Dr. Athena Morrow is “a pre-eminent Artificial Intelligence expert who is driven by her own motives to create a new kind of machine consciousness.” She’s also played by Carrie-Anne Moss. Dawson’s Creek, “Downtown Crossing” (Amazon Video/Google Play/Hulu/iTunes/YouTube): Some people think you can’t make your mugger fall in love with your very essence and want to become a better person because of you. Those people have clearly never seen Dawson’s Creek fifth season episode “Downtown Crossing.” While not necessarily the worst episode of Dawson’s Creek (a designation that will go to season six’s “Lovelines”—your friendly neighborhood What’s On Tonight contributor’s mental streaming pick for tomorrow night), it definitely shows Joey at her most… superior to all life forms. Perfect for a superhero (or supervillain) theme.